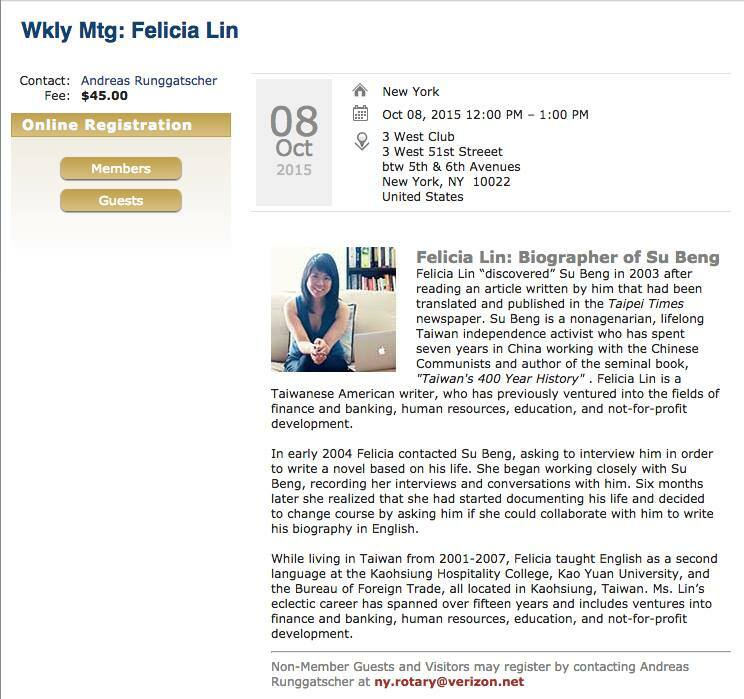 Felicia Lin, the “accidental biographer” of Su Beng, talks about how she became the biographer of Su Beng, a nonagenarian Taiwanese revolutionary and her work on documenting his life. In 2013 she raised over $15,000 in an Indiegogo crowdfunding campaign to return to Taiwan to continue her research and found herself in the midst of the historic Sunflower movement (March 27, 2014-April 10, 2014), a 24-day long occupation of the Legislative Yuan in Taipei, in protest of the passage of a trade pact with China. Please feel free to share this with someone who you know might be interested in attending. Thanks for your support!